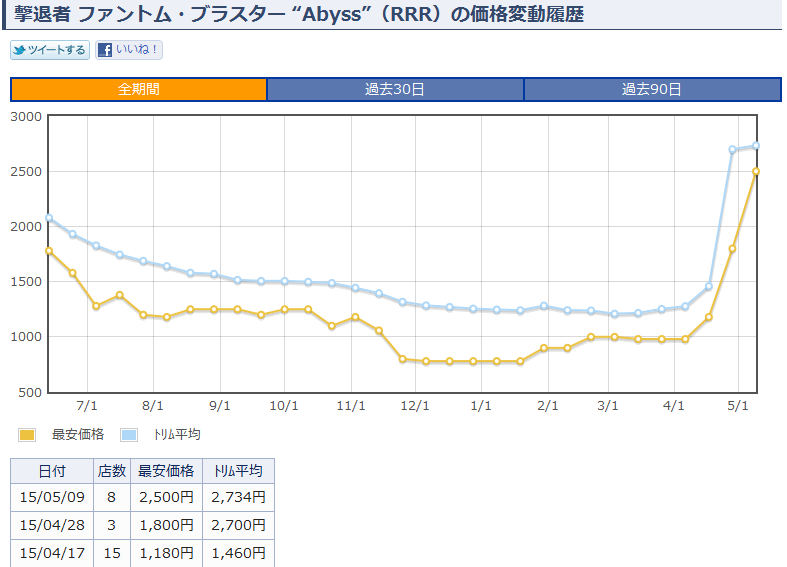 Price charts coming out of Japan this morning have demonstrated that the average selling prices of the Shadow Paladin legion leader Phantom Blaster “Abyss” and his mate Blaster Dark Revenger “Abyss” doubled between the months of April and May. Phantom Blaster skyrocketed from a below-1500 yen average to 2500~2700 yen apiece. (Approximate conversion is going from $13 to $21~23 in US money.) For comparison, Thing Saver Dragon is current available in Japan for ~400 yen and Dragonic Overlord “The X” for ~600 yen. The “Abyss” price rise is reflective the results of the fifth Sapporo VGCS, in which “Abyss”-“Diablo” decks both dominated top spaces and accounted for 46% of all decks entered in the tournament, as well as the results of the West Japan and Kansai Spring Cup where Shadow Paladin made up 24% and 41% of the participating entries. Blaster Dark Revenger “Abyss” has actually turned out as the more expensive of the two, starting at a similar price point and jumping up to 2600~3000 yen apiece. This is arguably based on Blaster Dark's greater utility in the “Diablo” deck, as the actual use of Phantom Blaster “Abyss'” restanding skill is low compared to Blaster Dark's cheap retire skill, which can be used to help force a win condition with “Diablo.” The original Blaster Dark Revenger has not experienced any comparable rise despite seeing similar levels of play, likely due to his widespread availability in VG-TD10: Purgatory Revenger. 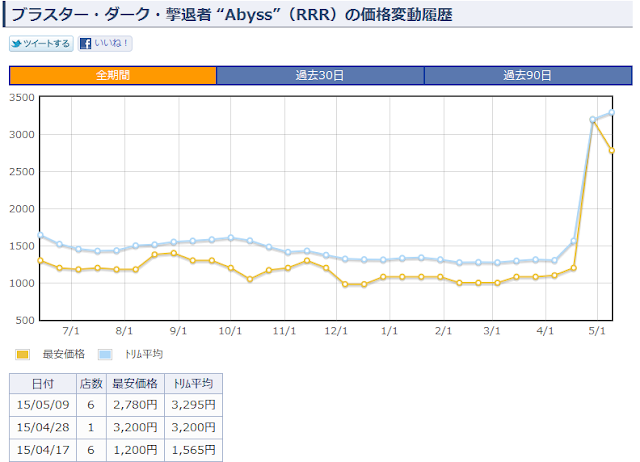 Both “Abyss” units were printed as triple rare cards in EB11: Requiem at Dusk, increasing their scarcity and making them subject to greater market fluctuations. Original images donated by inaisekai. 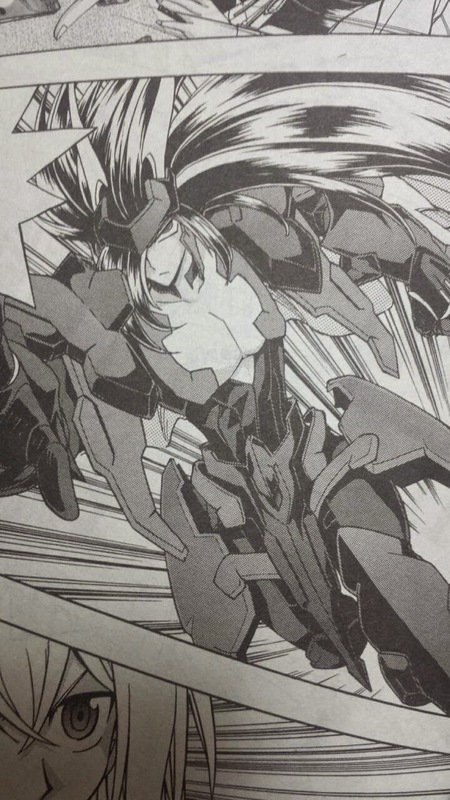 In other news, this month's issue of Monthly Bushiroad magazine has come packaged with the latest chapter of Itou Akira's Cardfight!! 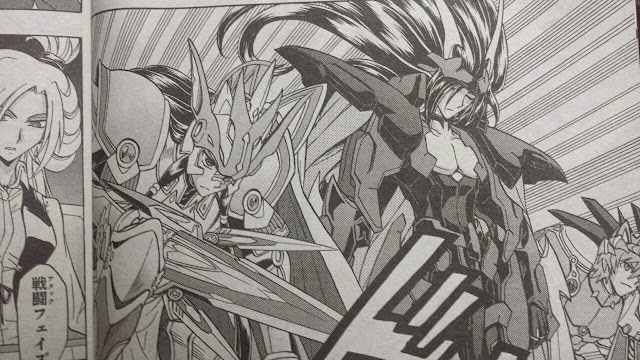 Vanguard manga. Featuring a fight between Tatsunagi Kourin and Tokura Misaki, at the climax of the chapter Kourin rode a new unit "Raven Haired Ezel" in a bid to end the game. The new unit was ridden over Incandescent Lion Blond Ezel, potentially making Raven Haired a crossride of the original card. However, its actual skills were not explained before the fight ended. Unlike in the anime series, for the manga Ezel was originally designed by Itou as one of Kourin's units, and she's used the Ezel deck since her introduction. During the Asia Circuit arc of the anime she gave her Blond Ezel to Aichi as a nod to Itou's original plan. Early on in her introduction to the manga, Kourin had a fight against Misaki in which the Magus cards debuted, and Kourin crossrode Platina Ezel over Blond Ezel; this latest chapter bringing in Raven Haired Ezel parallels their past battle. 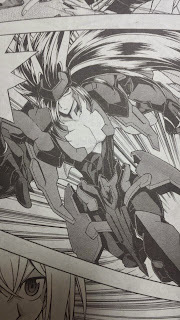 The current arc of the manga approximately corresponds to the Link Joker arc of the anime, with Ibuki Kouji replacing Kai Toshiki and "PSY Qualia Zombies" replacing the Яeverse fighter phenomenon. (Itou had suggested the Яeverse concept to the anime staff while Link Joker was in its planning stages.) The previous chapter established Kourin to be working for "Cold Walker," an antagonist that seeks to control destiny and works from within Tatsunagi Takuto.